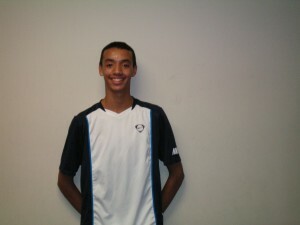 The 45th Member of the Soccer Fitness 20 MPH Club, Tajai successfully completed 2 separate, 4-second running bouts, at a top speed of 20.5 miles per hour, on Thursday, October 6, 2011. Impressively, this feat was accomplished in Tajai’s first ever training session on the Noramco HS Elite high speed running treadmill at the Soccer Fitness Training Centre, so we are definitely expecting him to continue to improve his maximal running speed in the weeks and months to come. A midfielder with the Glen Shields Soccer Club, Tajai will be looking to obtain a soccer scholarship in the next few years. We at Soccer Fitness are looking forward to continuing to help Tajai improve his fitness levels, and further advance his soccer career.